The sun was setting into vegetation that had begun its transition to fall color. I half expected an alligator to emerge at any moment – but then I remembered that I was still standing in Kansas. The air was ripe with the musk of decaying plants and, all around, the sky was full. Ducks of all species were crisscrossing overhead to their preferred roosting and feeding spots. A group of 30 teal screamed on their way by and landed with a splash stop that made me wonder whether a predator might not be far behind. Mallard drakes and hens also circled high overhead, calling to the flotilla of ducks already gathered on the water – over 20,000, by my estimate. As darkness began to engulf the area, the steady stream of birds landing around me turned into a rain of water birds coming in for the night. Thousands of grunting, quacking birds were dropping out of the sky to find a safe place to rest. I was in the middle of a duck fallout and was surrounded – by Pintails, Redheads, Gadwalls, Mergansers, Shovelers, Ring-necks, Wood Ducks – though none seemed to care that I was there. This continued for the last 20 minutes before darkness overtook the last of the light. They were swimming, flying, landing and calling in close proximity. To them, I was just another piece of terrain – no concern at all. The Neosho Wildlife Area, established in 1961, covers 3,246 acres in the Neosho River valley. Flooded timber stands and acres of shallow, flooded wetland combine to create a distinctive, southern-swamp feel in southeast Kansas. Willows, Buttonbush, dead flooded trees, saturated soils, standing water and abundant water vegetation are distinct reminders of Mississippi backwaters. The Neosho Wildlife Area includes 1,748 acres of wetlands divided into eight managed pools ranging from dry to full, depending on management objectives. Three of the pools are managed in a moist soil environment through water-level manipulation, and its four green-tree marshes range from five to 15 acres. In the last 10 years, an astounding 255 species of birds have been recorded within the boundaries, making Neosho Wildlife Area, acre-for-acre, one of Kansas’ most dynamic birding locations. 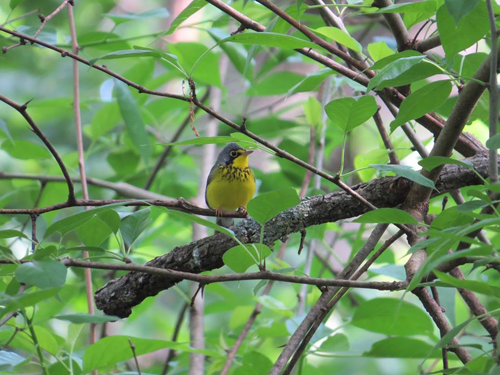 Case in point: During one particularly productive spring migration day in 2014, a group of three birders located 110 different bird species in only four hours. The E-bird Hotspot Explorer is a perfect tool to gain quick access for birding. Neosho Wildlife Area offers both quantity and quality of bird life. That’s part of the reason the National Audubon Society designated it as a state-level Important Bird Area – one of only four in Kansas. Some of the rarities seen within its boundaries include the Red-Necked Phalarope, Black-Necked Stilt, Marbled Godwit, Piping Plover, Snowy Plover, Ruddy Turnstone, Short-Billed Dowitcher, Least Tern, Cerulean Warbler, Tundra Swan, Black-Billed Cuckoo, Black Vulture, Cinnamon Teal, Northern Shrike, Peregrine Falcon, Golden Eagle and Neotropic Cormorant. During fall and winter, ducks can number into the tens of thousands, averaging 30,000 to 40,000, though record numbers have gone above 100,000. 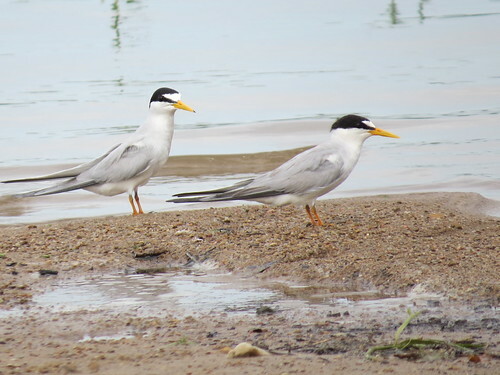 During prime migration conditions, it’s not unusual for birders to check off nearly every common eastern Kansas water bird during a single trip. The couple of weeks prior to fall duck hunting season are particularly inviting, as one can experience a rain of ducks when they come in to roost before sunset. The area is managed primarily for duck hunting. That’s why birders are reminded to take necessary precautions during the hunting seasons. The area’s extensive road network allows for easy birding access, but between Sept. 1 and April 1, some roads are closed around the property’s refuge area. And even then, the bordering levees provide views of all the pools, so birders can enjoy quite a show. Neosho Wildlife Area is located just east of St. Paul, Kan. Established in 1847, St. Paul began as a Catholic mission for the Osage Indians and is one of the oldest settlements in Kansas. If possible, birders may also want to stop in at the Neosho County Museum’s Osage Mission. The museum’s interpretive displays bring to life the story of the area from frontier days through the Civil War to pioneer settlement – when all of these amazing birds were viewed with the naked eye and hunted with a musket. Andrew Burnett was raised and lives in Neosho County, KS. He has been a lifelong bird enthusiast and avid birder. Andrew is a member of the Southeast Kansas Audubon Society, Kansas Ornithological Society, Purple Martin Conservation Association, and National Audubon Society.